it’s time to propel its marketing activities! Performance is THE #1 priority of anyone working in the marketing field or more broadly in corporate management. Even though each has a more or less precise and personal definition of what performance is, in general the marketers have an obsession that they scrutinize under a magnifying glass and which holds in only 3 letters: ROI. It is necessary to generate constantly growing revenue, increase work productivity, while reducing operational marketing costs. 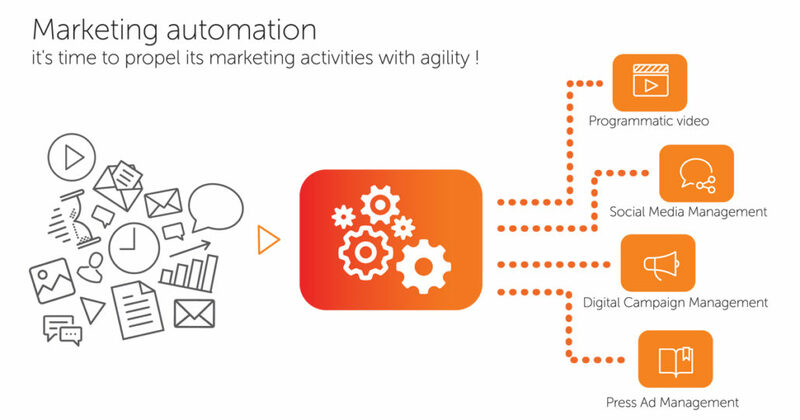 So when a study shows that, on average, the use of automation marketing brings up to 15% sales growth and 12% decrease in the cost of operational marketing (source: Nucleus Research), there is every reason to believe that Marketers have for the most part endowed themselves with these marketing automation tools. Certainly! Or at least, it’s about to get implemented. According to an Econsultancy – Adobe study, 46% of marketing professionals expect to increase their automation marketing budget in 2017, which is great news! But the marketing blast of technologies should not cause loss of agility to the various users. According to a Conductor study, 62% of the marketing teams use in parallel between 6 and 20 different marketing technologies. In addition, most of the solutions only allow to control part of the activities and do not communicate between them. As a result, solutions are increased, technological silos are recreated, and a fortune is paid without any effective collaboration. And yet unifying and streamlining the company’s marketing environment, and moving from chaos to consistency can be very simple. Faced with the upsurge in platforms and marketing applications in the cloud, a unique anchor is needed: the new all-in-one agility platform that offers flexibility and agility. Indeed, the ecosystem of connected applications integrates perfectly with the platform without burdening the processes of collaboration. And for this “all-in-one” experience to fit every actor, it relies on a scalable and powerful catalogue of marketing automation applications. Today, Rocketfuel, Sprinklr, Honeycomb, Babbler, Stepnet, Networth, .. can already be activated and used easily by the users of the platform to optimize their marketing activities. By simply subscribing in SaaS mode, this intelligent and agile tool allows access to the formidable deposit of marketing productivity of the companies while allowing an effective control of the chain of production and the intervention of the actors. 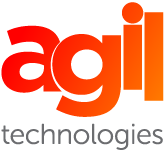 Today for tomorrow, it’s time to propel its marketing activities with agility!